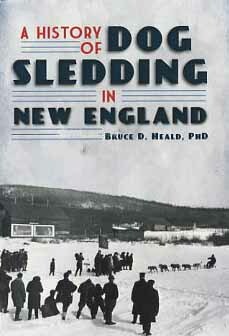 A History of Dog Sledding in New Engalnd, by Bruce D. Heald, PhD, 2011. An excellent history of the one of the most unique winter sports in New England. Covers the early history of sled dog driving, races and events, famous drivers, the legendary Chinook and Arthur Walden, various sled dog breeds, and more. Over 40 images. 128 pp, 6" x 9."